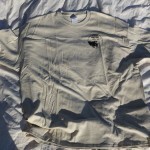 Time is running fast and the bid for the center space on our promotional TShirts is now up to $500.00. Contact Robin at watusicattle@outlook.com or 254-797-3032. The $500.00 bid was this morning, now we have a bid of $550.00. Better hurry. Now the bid has increased to $700.00. 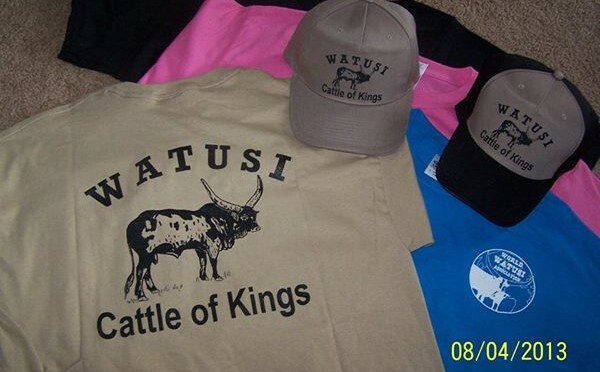 Hey everyone, the time to submit your bid on the center spot of the World Watusi Association’s TShirt ad space is running out. Our current bid is $400.00 and bidding will end on Monday the 15th of June. If you are still wanting to be featured on one of the smaller spaces you are also on the same deadline. Contact Robin at watusicattle@outlook.com or 254-797-3032. THIS WAS OLD NEWS, AS OF JUNE 14, 2015 THE BID ON THE CENTER PLACEMENT IS UP TO $450.00….BETTER HURRY. Here we are marching through spring already, my how time flies. There are only two weeks left to submit your bid for the center place on our promotional TShirts or to arrange for one of the smaller spots surrounding the big ad. Please contact Robin at the office in Texas 254-797-3032 or at Watusicattle@outlook.com. Also if all members could take a moment to update your membership records to include any email, cell phone and URL addresses. You can send this information to our Secretary, Pam at rpjackson@wk.net. The bidding continues on our centerpiece ad of our promotional TShirts. The bid has been raised once again and is presently at $350.00. The bidding will continue until June 15 which is the final deadline and ALSO the deadline to reserve one of the dozen ads circling the centerpiece is June 15. We have continued to receive bids on the large ad in the center back of our proposed promotional T Shirts. The current high bid is $300.00. We have until the middle of June to keep accepting bids on the larger as as well as selling the spots for the smaller ads that will surround it. Plan before it is too late.